A couple of summers ago, Mike Evans and his family took their first camping holiday together for 15 years. Looking forward to spending some quality time together, they set off for Camping la Croix du Vieux Pont at Berny Rivière, near Paris. I stood at the top of the waterslide waiting for the plunge pool to clear. My wife and son were either side of me, ready to race. “One, two, three” – we were off! Before I knew it, I’d hit the water at the bottom with a splash, proving you are never too old to conquer your first ever waterslide! We always took camping holidays when the children were small, in the days before mobile homes were common place and a swimming pool onsite was a real luxury. Since they’ve grown up and flown the nest, we’ve chosen ‘adults only’ hotel resorts, and it’s been almost 15 years since we last holidayed as a family. Until my wife, Jenny, retired from teaching last year, we’ve been restricted to going away during school holidays, so a campsite in July or August wasn’t our first holiday choice. Simon Marshall is one of our expert campsite finders. Here he tells us about the glamorous hotspots of his favourite region, the Côte d’Azur. How long have you worked for Canvas Holidays? I started working in the Canvas Holidays warehouse in Nantes in February 2005. I worked as an Area Manager in Brittany the following summer, then took up a post in the Dunfermline office in November 2006. With over 300 days of sunshine each year, the alluring Côte d’Azur in the south east of France attracts artists, celebrities and sun-seeking tourists in their droves. Also known as the French Riviera, the diverse coastline offers uninterrupted stretches of sandy beaches, sheltered coves and idyllic islands interspersed with traditional fishing villages, chic resorts and tranquil hilltop towns. One of the main draws of this stunning region is its enviable climate – temperatures rarely drop below 20°c and hover around a lovely 29°c during July and August. If lying on a beautiful sandy beach soaking up the sunshine is your idea of the perfect way to spend a day (or more) then the Côte d’Azur will spoil you – there are numerous sandy spots to relax on, and then the warm, clear Mediterranean sea to cool off in. Must-see Riviera resorts include the exceptional principality of Monaco, glamorous Cannes and equally glitzy St Tropez. 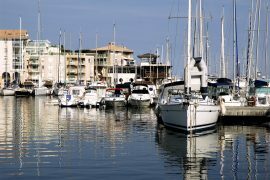 Smaller, yet no less charming are the Provençal villages of Antibes, Fréjus Saint-Raphaël and Port Grimaud. Inland you can explore the Estérel forest and spectacular Gorges du Verdon. Regularly described as France’s gastronomical heart, the Dordogne region is a natural larder for some of the finest ingredients you can hope to sample in Europe. Whether you are looking to indulge in gourmet specialities like black truffle or foie gras or prefer the simplicity of in-season strawberries or locally grown walnuts, your tastebuds will be exposed to an exciting range of flavours exclusive to the Dordogne. Children grown up and flown the nest? Been a few years since you’ve thought about a camping holiday? You might be surprised to discover many of our campsites offer activities just for grown-ups. From luxury spas and golf courses to wine tasting and city breaks, camping really does offer something for everyone. Of course not being constrained by school holiday dates means you can take advantage of the low prices available in May, June and September, when you’ll also find resorts are much quieter (but the weather often just as good). Here’s our pick of the best camping breaks for empty nesters. Imagine all that’s fantastic about France condensed into one area. 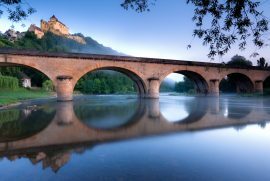 With stunning natural scenery, dramatic castles, gourmet food to enjoy and medieval villages to explore, it’s easy to see why the Dordogne is a favourite holiday destination. Located in the south-west of the country and known to the French as the Périgord, the region is divided into four areas, each named after its diverse landscape. Périgord Blanc (white) for the limestone hills around the capital Perigueux; Périgord Pourpre (purple) or the wine growing regions around Bergerac; Périgord Vert (green) for the forests of the northwest; and Périgord Noir (black) for the dark oak forests around the Vézère Valley. Top 5 holidays for toddlers – NEW! Way back in May 2013, I wrote this blog post rounding up our top 10 sites for toddlers. I thought I’d add to the list, with my pick of the top 5 sites for toddler holidays out of our exciting new sites for 2015. As a mum of toddler twins, I know how daunting the idea of travelling with a baby or toddler can be. The great thing about taking them on a camping holiday with Canvas is it’s (relatively) stress-free. While we can’t promise to do anything about teething and tantrums, we can make your holiday as relaxing as possible with some fantastic, child-friendly campsites. If only we had unlimited time on holiday to experience absolutely everything that our destination had to offer. 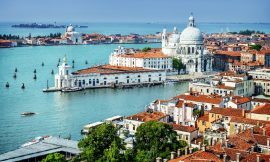 To help narrow down decisions on what to do with precious holiday time, we’ve put together our three favourite experiences in the Venice region. Possibly one of the most iconic things about Venice, the sleek black gondolas transport tourists up and down the city’s waterways to enjoy all of the sights. During the 17th and 18th century there were between 8,000 and 10,000 gondolas in active service, nowadays there are around 400 and the vast majority are used for tourists. Not just anyone can be a gondolier though – in order to gain their license they must undertake a lot of training and then a comprehensive exam covering topics such as foreign languages, history and landmarks of the city as well as of course, the essential handling of the gondola. Such an iconic tourist attraction will make your wallet a little lighter, but for a tour with a knowledgeable guide on such famous waterways, it really is a unique experience.